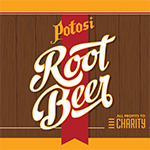 Enjoy our signature craft Root Beer made with pure cane sugar and real Wisconsin honey and proudly brewed in Potosi, WI. 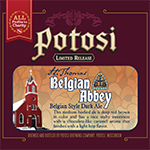 This medium-bodied Belgian Double ale is deep red-brown in color and exhibits a pleasant malty sweetness, a chocolate-like caramel aroma and a light hop finish. Like a quarrelsome castaway, this bold and roasty stout hid away in freshly emptied oak barrels for a year and emerged even more brash and brazen. Rich and complex, sweet and warming and with the lingering temper of a whiskey ghost. It’s best sipped. And savored. With a cold-pressed proprietary blend of fresh ground beans from our friends at Verena Street Coffee Co., we’ve crafted a wholly original espresso stout that is both rich in coffee tones and eminently drinkable. Its pleasant espresso aroma leads to rich coffee flavors mixed with notes of roasted malt and a hint of chocolate, all topped off with a generous mocha head. Brewed with Wisconsin grown Czech-style hops and malted barley, our Pilsner is carefully lagered to obtain a clean malt flavor and a crisp floral finish. Potosi Czech Style Pilsner is our salute to Wisconsin’s rich lagering tradition. 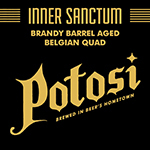 Historically brewed by the pious monks of Belgium, this decadent brew features unique raisin and plum character resulting from select dark caramel malts and ten months of aging in oak brandy barrels. Gently warming with a lingering toffee finish. Best enjoyed with a smug attitude and cashmere turtleneck. An honest hand crafted light beer. Brewed clean with nothing to hide behind, it is an American light lager at its best. Finely crafted, delightfully smooth and always refreshing. 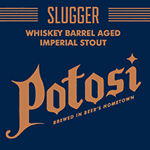 Potosi Light Lager. Enjoy one and then another. Dark Roasted malts give rise to strong coffee aroma and flavor paired with notes of caramel and chocolate. 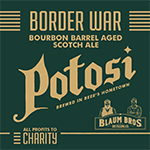 This full bodied beer balances out with mild ester and hop presence.